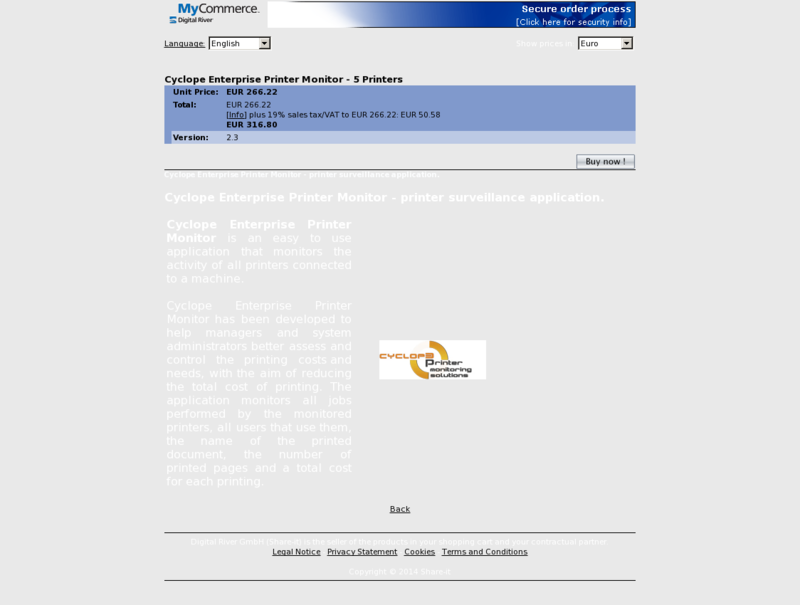 Cyclope Enterprise Printer Monitor – printer surveillance application. Cyclope Enterprise Printer Monitor is an easy to use application that monitors the activity of all printers connected to a machine. Cyclope Enterprise Printer Monitor has been developed to help managers and system administrators better assess and control the printing costs and needs, with the aim of reducing the total cost of printing. The application monitors all jobs performed by the monitored printers, all users that use them, the name of the printed document, the number of printed pages and a total cost for each printing.